New York, NEW YORK—Last week Mayor Michael Bloomberg signed a bill prohibiting the purchase of tobacco products by anyone under age twenty-one. The law, signed Nov. 19, applies to cigarettes, cigars, cigarillos and electronic cigarettes and prescribes a fine of up to $2,000 for sellers who violate it. The actual amount depends on the number of violations, CBS New York reported. That same day, Bloomberg signed a complementary bill to create "new penalties for the evasion of cigarette taxes, bans discounts on sales involving cigarettes, sets a price floor on packs of cigarettes and little cigars at $10.50 and requires inexpensive cigars to be sold in packages of no fewer than four,” The Wall Street Journal reported. Bloomberg said the law “will prevent young people from experimenting with tobacco when they are most likely to become addicted,” Fox News reported. “At eighteen you can get a tattoo, buy a gun, die for your country through military service, and sway the fate of it through voting. But you can’t buy a pack of cigarettes? That doesn’t line up,” Gonska said. The debate on how effective the law will be also continues. According to CBS New York, New York City Health Commissioner Dr. Thomas Farley portrayed the law’s goal as “mak[ing] it more inconvenient for young people to get started,” because minors will have to search out adults rather than older teens to acquire cigarettes for them. New York Association of Convenience Stores president Jim Calvin argues, however, that teenagers will simply turn to the black market, which in his view will be easily accessible. Fox News noted that tobacco possession by teens remains legal. 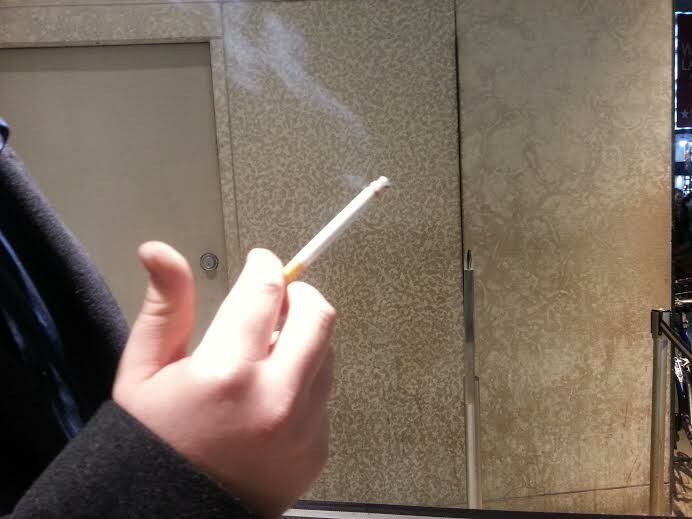 Christian Tegge (’17) is another King's student who smokes regularly. He says he’s been talking with other smokers from the NY area who have “mentioned the idea of a grandfather clause” that would exclude anyone who is at least eighteen years old at the time the law takes effect. While Tegge hopes that that is true about this law, he says he will buy cigarettes out of state if it is not. The law will take effect in May.